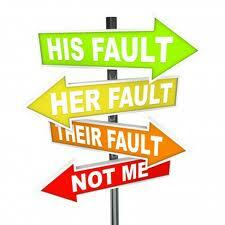 Blaming others seems to be the mantra for the young and old these days. Find out who’s blame it is and everything will be okay. As soon as we have someone to blame it takes all the responsibility off of us and puts it on someone else, how convenient. Ray’s #1 tip is to Stop Blaming Your Haters. We have built a society of blame. Our primary function is to find out who is to blame and then we can move on to the next reason our lives are such a mess. I have worked in Corporate America most of my life. I have climbed the proverbial corporate ladder and sadly been a part of blaming others when things went wrong at work and even in my life. 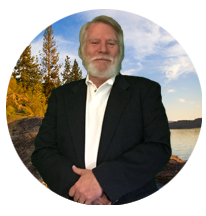 It wasn’t til I stopped blaming others that things began to change in my life. There are going to be a lot of people out there that are going to hate what you are doing. They are going to range from close friends and family to people you just meet. Some of these people are going to be those that you truly respect in life. We call these the “Haters” and they are everywhere. They are NOT typically bad people or people that deliberately want to tear you down. They are just people they are not very content in their own lives or have had a bad experience with the path that you have chosen and truly want to save you. There is a small percentage that are just true haters and there’s not much I can say about them, except stay as far away from them as you can! Blaming has become such a big part of our society that everyone thinks it is the norm. I’m here to tell you it’s NOT! If you ever want to become a success at anything that you are doing then you are going to have to stop blaming your haters, others and the world. You need to take responsibility and start the change in yourself and not worry about others. The moment we stop the blaming things WILL change and you WILL begin to grow as a person and in your business. Once the blaming stops our focus changes for the better and we can begin the growing process. There will always be haters and those that think you are totally of your bonkers for doing what you are doing. SO WHAT! If you look back at all the great men in life you will see they all had Haters starting with Jesus Christ. Stop the Blaming and Start the Growing! The HATERS will always be there, let them. The best thing you can do to combat the haters is to become exactly what they hate, SUCCESSFUL. I hope this has brought you some value. Please share with your team and comment below.